CBD E-LIQUID - New fresh vaping experience! CBD E-liquids are liquids made for the electronic e-cigarette. 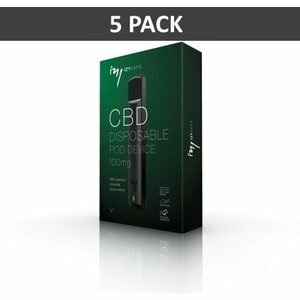 If you are already in possession of an e-cigarette or about to buy one, it is the finest and fastest way to record CBD. 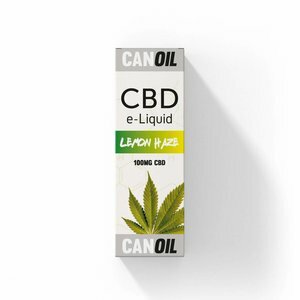 You can boost your existing favorite e-liquid with the CBD Base, or choose one of the unique flavors of Canoil. CBD E-Liquid Different flavors with 50 mg, 100 mg or 200 mg CBD per 10 ml bottle. 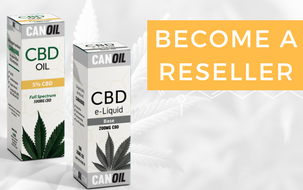 Looking for a new fresh evaporation experience with CBD that can also have an effect? Because the CBD is formed in an E-liquid, it can be absorbed quickly into the body. Canoil E-liquids contain no nicotine, tar or other harmful substances. The quality control guaranteed by Canoil ensures guaranteed quality and safety of the product. Each batch is analyzed and processed according to ISO 9001 standard. Our CBD E-liquids are made from organically grown hemp plants with a guaranteed percentage of CBD. The CBD E-liquids can be used for all types of e-cigarettes. 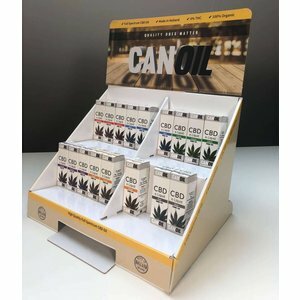 Canoil is known for its high-quality CBD products with guaranteed CBD percentages. All CBD E-liquids contain no THC, nicotine, alcohol, animal extracts and diacetyl. CBD is perhaps the most convenient and pleasant way to take CBD. Because of the different tastes, there is a favorite for everyone. If you prefer not to have a taste, Canoil also has a Base variant, which is fragrant and tasteless. CBD is absorbed the fastest through the body via the alveoli in the body, for immediate results. Different flavors such as Classic Hemp, fresh mint, strawberry or O.G. Kush are a small list of the Canoil flavors. Every taste has been carefully chosen by us to allow you to experience a unique taste experience. Which strong CBD E-liquid is suitable for me? Because Canoil offers different strengths in its liquids, a suitable strength will be available for each vaper. CBD is absorbed into the bloodstream within a few minutes, so you can see which strength is right for you. You will not get high from CBD E-liquids, because there is no THC present. CBD E-liquids are therefore also legal in the Netherlands and almost in all countries of the EU and parts of the United States. - 50 mg, 100 mg and 200 mg CBD per 10 ml bottle.